We now have two box options for you: 1) *Same Old* Cotton Booty™ Box and 2) *Just* the Diaper Cotton Booty Box. If you've heard of us or subscribed before and loved our boxes, the *Same Old* Cotton Booty™ Box is the box for you! Each month you will receive one (1) name brand cloth diaper and one (1) or more accessories, toys, "fun" items, or samples. The retail value of your box will always be more than you pay. 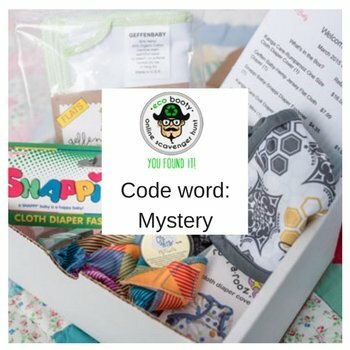 If you're only here for the diaper and not interested in the other fun items we may find, the *Just* the Diaper Cotton Booty™ Box is for you. Most months, you will only receive the diaper of the month. However, because we want to ensure that the value you receive is always more than you pay, we may on occasion add a little something fun to your box. Choose boy, girl, or gender neutral, your desired quantity, and frequency. We find new diapers, accessories, toys, fun items, and samples for you to try. Open your package and enjoy! What type of Cotton Booty are you?